Hello! Remember me? I know, I know, it's been a while. It was a crazy busy week for me. BUT, my room is almost done. It has taken me longer than I expected. One task brings another. Anyway, leaving you with these photos that were taken a few days ago. love this look! 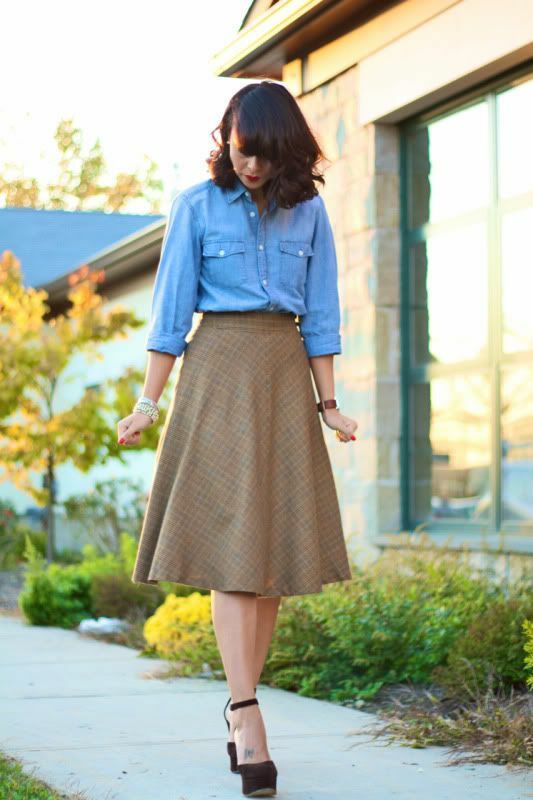 denim shirt looks amazing with this skirt! I love how the denim shirt gives the look a laid back feel. 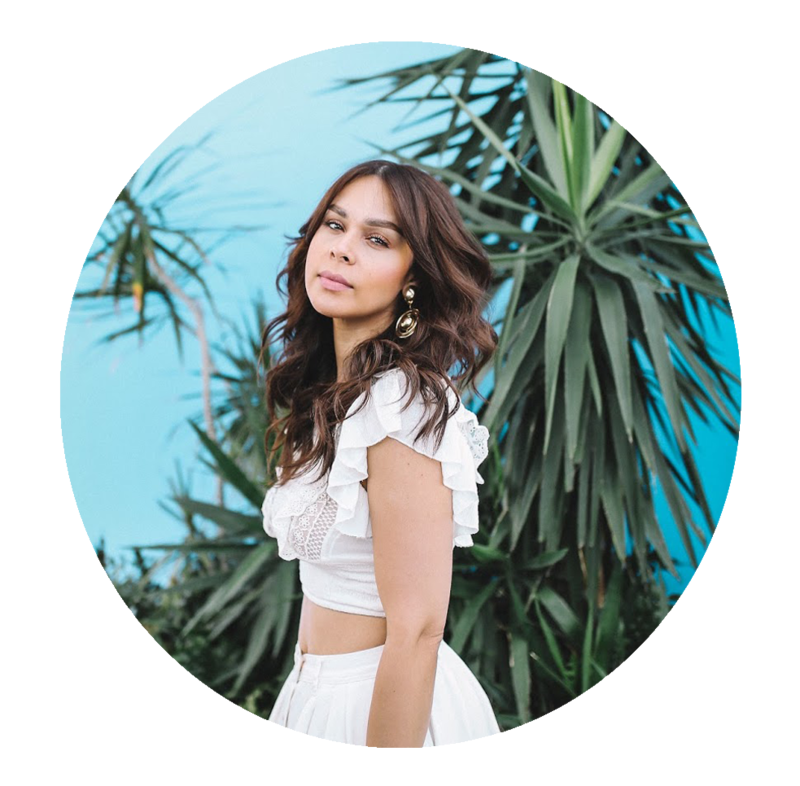 You are great at putting looks together in an effortless way! This is such an odd combination that works perfectly. It's fantastic how denim is such a neutral sometimes. Pair it with anything and it can look edgy and cool. Gorgeous! 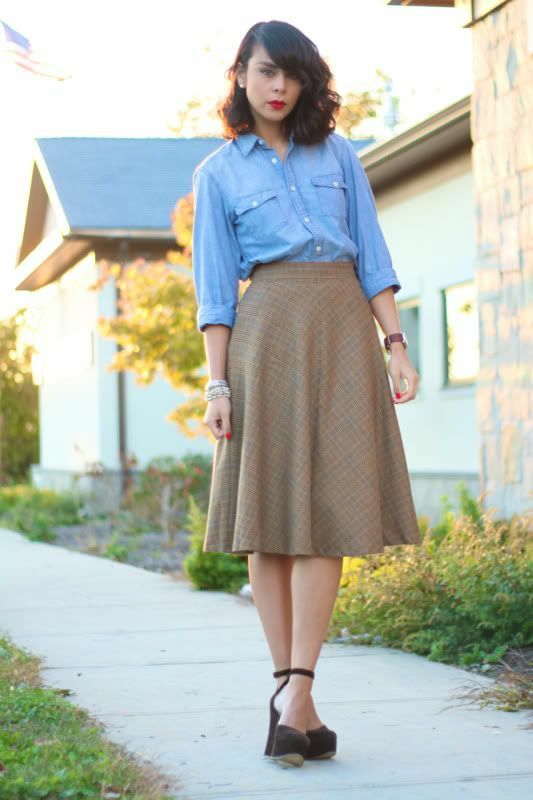 I'm so on board with the houndstooth pattern, adore how you paired it with the chambray blouse. So classy! This is such a cute outfit, you look gorgeous. 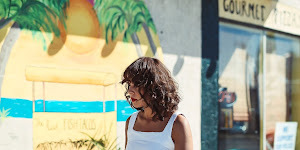 That lipstick color is such a standout with this classic look Delmy! Beautiful rich red, you're such a bombshell! Lovely. I wish I could wear these longer lengths I'm just so short. Can't wait to see the room. I love your lipstick and the denim shirt! you look awesome. The cut of that skirt is so beautiful! I love your lipstick too. 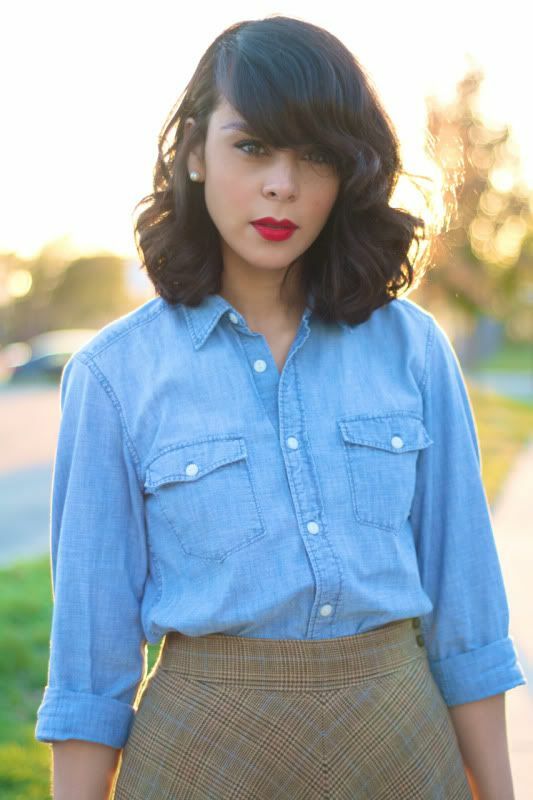 denim shirts are great--they go with everything! I'm really inspired by this one! Definitely gotta wear my houndstooth shorts with a denim shirt! :o) Awesome idea Delmy! I'm jealous that you can get away with wearing skirts like that with no tights underneath! its so cold here! I adore the denim shirt. Love the the outfit, it's both casual and elegant. gorgeous look!! the red lipstick really pops out! Really love this, you've inspired me to wear my denim shirt like this soon. The skirt looks so cute on you! I have similar skirts. Love the lipstick shade! May I ask what brand and color it is? The skirt is very retro feminine. Great look! Lovely skirt. Love the denim shirt with it.